Bill Lichtenberg of Forest Park, Illinois feels I took too strong a position yesterday on the venial nature of the Chicago Teachers Union strike. In case you missed it, I said the strike is not about children, it’s about pay and workplace conditions. He’s a strong supporter of teachers unions, as am I. But we come to our stances via different paths. His path, I suppose, wound through the neighborhood of the angels. Me? I’ve always taken shortcuts through the alley. Make no mistake, I’m with the teachers on that issue as well. I just know that unions usually don’t go on strike for high-minded ideals. I’ll be at Rachael’s Cafe tonight listening to physicist Michael Snow talk about antimatter. It’s the season’s first gathering of the latest incarnation of the Bloomington Science Cafe. I’d post an image illustrating antimatter but, well, I can’t. And if I have to explain this gag, you ought to come to Rachael’s tonight at 6:30pm to find out why. Religious fundamentalists in Egypt and Libya are having apoplexy over some amateur video that purportedly insults Muslims or their god or whatever. 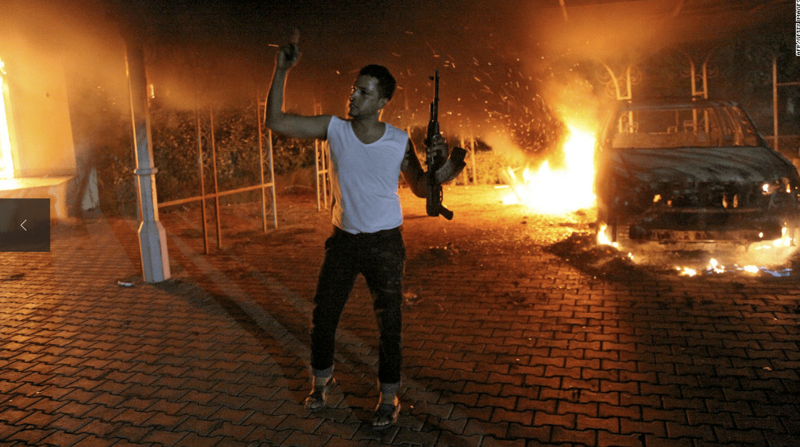 Word just came in that the US ambassador to Libya was killed in an attack on the American consulate in Benghazi. It was one of several such attacks in the two countries. The film reportedly was made by an Israeli-American but certain people in Cairo believe it was actually made by Egyptians Copts living in the US. The Copts are a favorite minority for Muslim fundamentalists upon whom to vent whatever rage they happen to feel on a given day. So now the Copts of Cairo are coming out into the streets to shake their fists at anyone who insults anybody’s religion. I suppose I understand why the Copts are joining in on all the fun. It’s better than getting the bejesus beaten out of them for something they didn’t even do. In any case, it apparently doesn’t matter who made the film, only that wild-eyed fundamentalists get to whack the crap out of somebody to show how much they love god. You know, we’ve got out own religious lunatics in this holy land. The Rev. 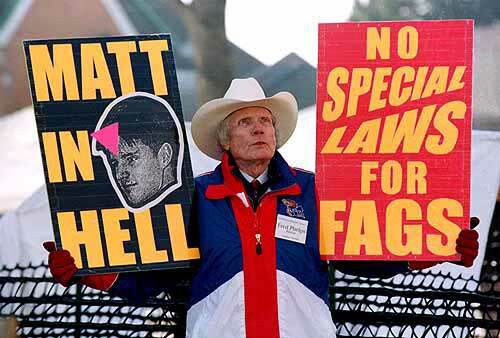 Fred Phelps jumps to mind. Gasbags like Pastor John Hagee and TV plaster saint Pat Robertson have done their share to foment hate as well. But it has to be said we don’t have mobs running around snuffing out lives to demonstrate how spiritual they are. 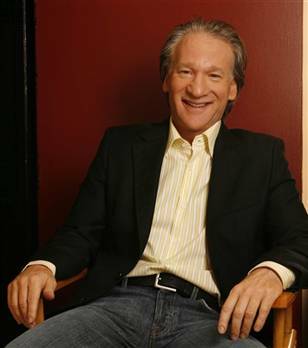 Much as I loathe defending the Pope on any topic, I have to agree with Maher on this one. No Big Mike’s Playtime: Fun on the Interwebs today. I’m in too much of a hurry. I do appreciate the equal time and your support for the teachers, even as it is; tinged with well-deserved skepticism over root motivations. I assure you that I know alleys, dead ends and gangways every bit as much as you. I fully recognize that the past is a fair guide to the present and future, but I still cling bitterly to the potentials of “What IF?” as unlikely as they may seem. From observations, I’m also somewhat of an aficionado on foolishly doing things on the cheap, cutting corners and cosmetics for swine. There is an opportunity in Chicago right now, however unlikely that outcome may seem, that an actual dialog on education can take place that isn’t limited to/by dollars and cents. 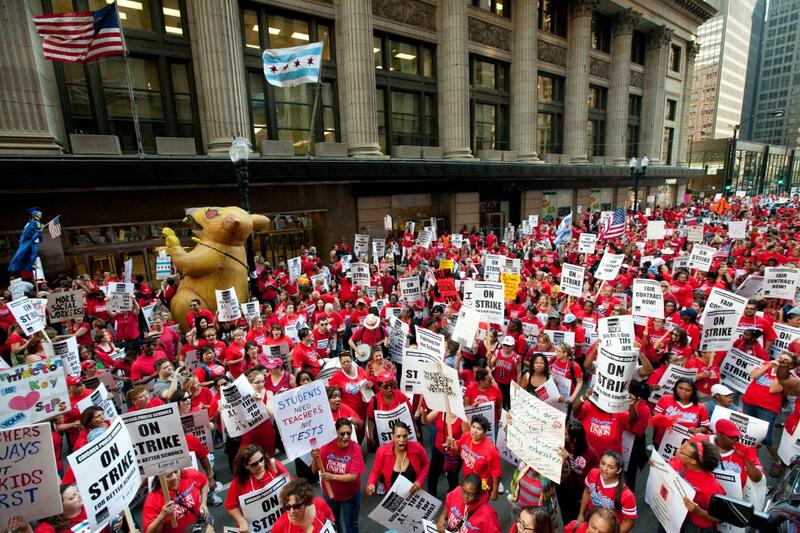 Did you note that the Lake Forest teachers have gone on strike now too? Or that their strike is entirely about money and maintaining their elite status? The contrasts might help, if they are allowed to be seen. However slight the chance of the CTU strike bearing the kind of fruit that is desperately needed for the future of public education, it’s the only platform currently available. Labor and Chicago have a long and lofty history. It would be fitting for real change to begin there again. senor miguel grande: i have a theory about islamic fundamentalists and their wacky ways. it wasn’t that long ago that christians were killing people they considered heretical. eventually we figured out religious toleration was a better course. so, given that the pace of historical change is speeding up perhaps in a generation or two those boys will get on board. how’s that for optimism?